New and improved technology is now available for growers that is enabling more efficient and lower cost irrigation. The technology is a significant improvement on older, tensiometer and gypsum block style sensors by requiring zero maintenance, having a higher accuracy and being more robust. 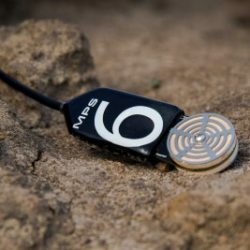 The technology is called the MPS-6 Soil Water Potential Sensor and includes the latest digital specs to integrate with IoT and telemetry platforms. Here we discuss how the MPS-6 is an advancement on soil water content sensors, tensiometers and gypsum blocks, and we present a case study on how the MPS-6 has significantly improved an avocado grower’s irrigation management. Soil water potential measurements are ideal for irrigation management as they are easy to interpret, do not require calibration, and are low cost. Growers have been using soil water potential sensors for many decades including tensiometers and gypsum blocks. Although these technologies have served a purpose, they are now redundant due to their high maintenance, limited measurement range, or short lifespan. The MPS-6 Matric Potential Sensor supersedes older technology because it requires virtually no ongoing maintenance, is robust and can last 20+ years in the soil. 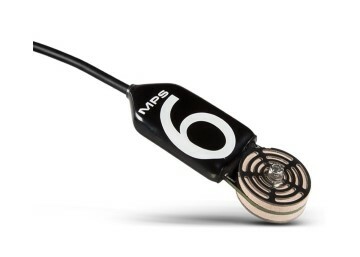 The MPS-6 is a digital sensor and can be supported by the latest IoT technology such as modems or LoRaWAN. The MPS-6 is also relatively low cost so many sensors can be deployed across the farm. The low maintenance, reliability, longevity, integration capability, and low cost mean the MPS-6 is the ideal sensor for irrigation monitoring and management. 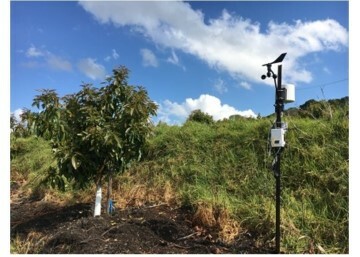 A ZL6 telemetry data logger is supporting a series of MPS-6 Soil Water Potential Sensors in this avocado orchard. For optimal growth and yield, avocadoes have a very precise soil water requirement. On the Comboyne Plateau, on the mid-north coast of New South Wales, Australia, an avocado grower needed to maintain his soil water potential between -10 kPa and -15 kPa. The grower regularly travelled overseas, therefore he needed a sensor that was reliable and required no maintenance. A series of MPS-6 were installed at a depth of 15 cm and connected to the ZL6 Telemetry Logger. Installation of the MPS-6 took less than 5 minutes per sensor and, once installed, have not needed any further maintenance. The ZL6 has an inbuilt solar panel and battery, so there was no further requirement for maintaining a power source. The ZL6 also has an inbuilt modem and data could be accessed on the internet via the ZENTRA Cloud software platform. The ZL6 was ideal for this grower as it required no maintenance and he could access his data anytime, overseas, where he had an internet connection. An example data set, covering 50 days, from a MPS-6 Soil Water Potential Sensor under an avocado tree. From around day 55, the soil water potential values on an MPS-6 started to read more negative than -15 kPa. As can be seen in the next graph, the values dropped as low as -40 kPa over a 4-day period. The avocado grower investigated the site and noted the irrigation drip line had been disturbed and was not providing water to the avocado tree. The line was fixed, and the soil water potential values returned to the optimal range between -10 and -15 kPa. An example where soil water potential dropped below the critical refill point due to a problem with the dripline. The MPS-6 Soil Water Potential Sensor is the latest technology that will improve grower’s irrigation management. The time and costs savings in not having to maintain old, tensiometers, or unreliable gypsum blocks, is a significant improvement in of itself. Coupled with the ability to easily integrate with IoT technology, the MPS-6 Soil Water Potential Sensor is the future of irrigation monitoring.